A loan of $1,100 helped to buy 20 sacks of hog feed for her hog raising business. Maritess is a hog raiser within her locality. She is 36 years of age, married and has three children. Her husband is a farmer and carpenter. The couple has been blessed with three children, two of whom are still studying and the other one who is still an infant. Maritess is raising one sow and five fattening pigs. 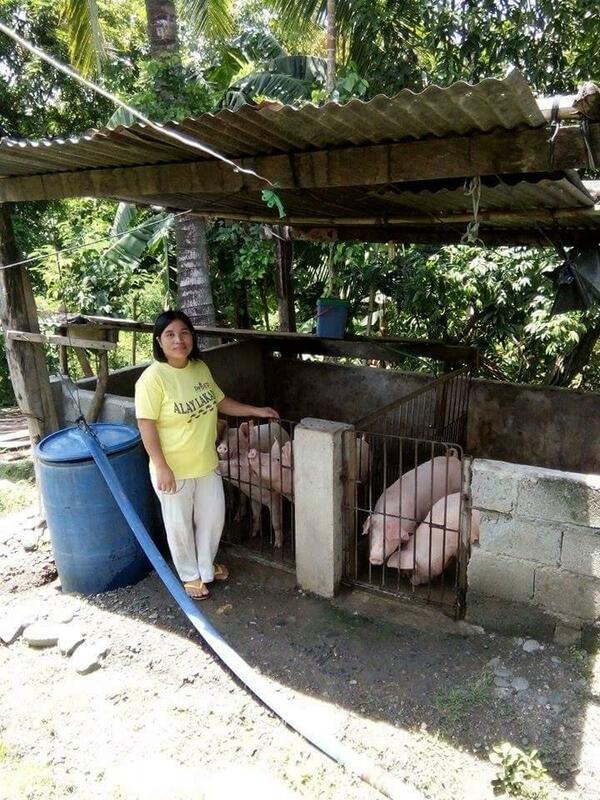 With the number of pigs she raises, she is in need of additional capital amounting to PHP 50,000. She will invest this loan amount in buying 20 sacks of feed and other needed hog supplies to improve the growth of her pigs. She knows that this loan amount will be of great impact in improving her business and in obtaining better profits.